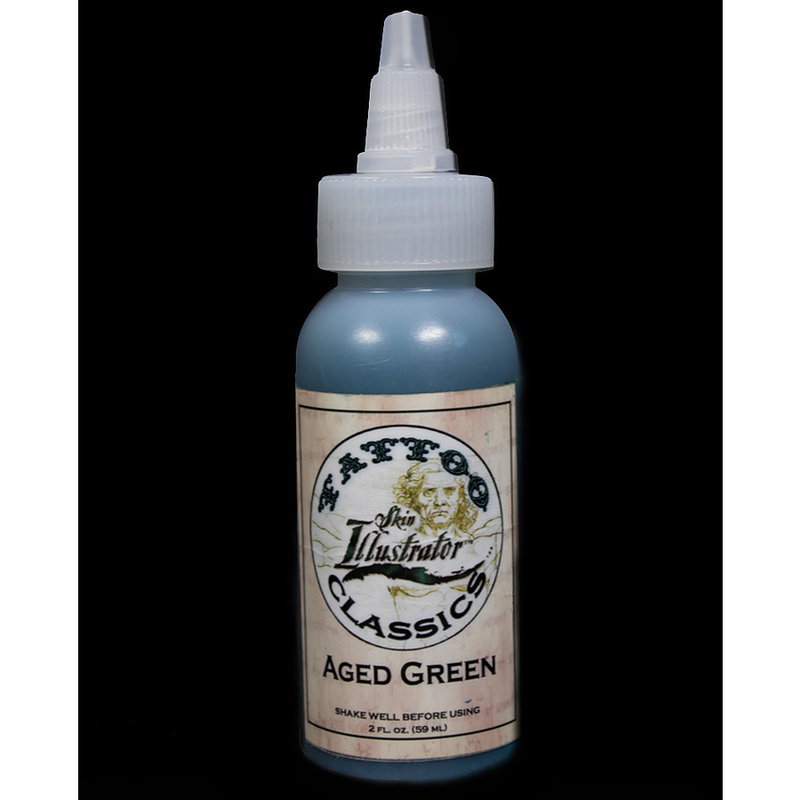 Skin Illustrator’s Tattoo Classic Palette Liquids can recreate any genre of tattoo using the classic aged black and green colours. From the old, faded, hand-made style to modern recreations of tribal bands to historical designs, Tattoo Classics can easily produce the aged effect you desire. The only variable is your application technique. Make it look modern, make it look classic, make it look like it’s been there forever! Also available in a dry singles duo.